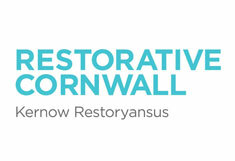 Restorative justice is all about bringing together the victims of crime with those responsible to find a way forward. Restorative justice offers the victim the chance to have their views heard and a say in the way to repair the harm done. This can include agreeing activities for the culprit to do as part of taking responsibility for their actions and repairing the damage they have caused. Devon and Cornwall Police consult with the Youth Offending Service every time a young person has been involved in an incident/crime. The restorative justice worker contacts the victims of crime to ensure their views are represented in the decision making process. They will identify the most appropriate organisation to help you cope and recover from the effects of crime.